The Downwind cruise sails by Onesails are designed for a safe and easy navigation even with a short handed crew. All the designs are developed with CFD simulation because the first aim of OneSails that is Quality and attention at all the details. The materials used are the best and selected to work properly under load, in a way to offer the best solutions to any customer. 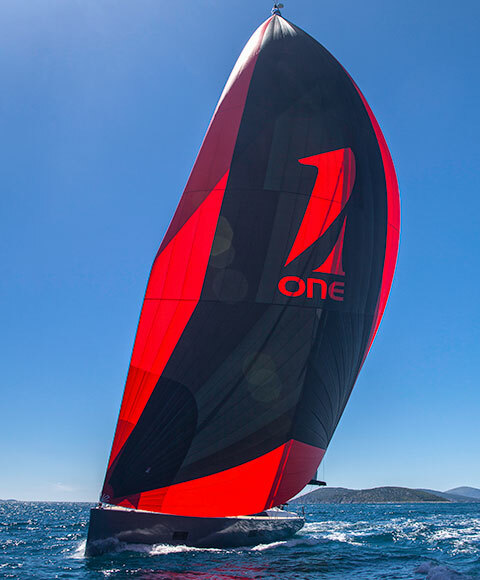 The Spinnaker and the Gennaker by OneSails can be provided with a special bag, the sock or a special furling system studied to simplify the dip. 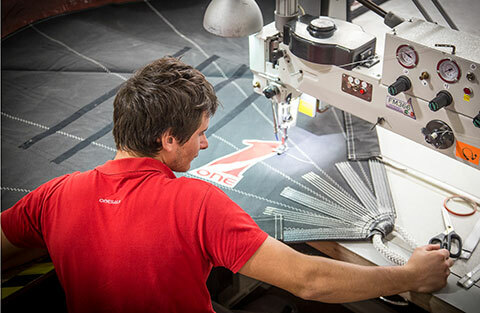 The spinnaker is an important sail for cruising and OneSails provide the experience of designers and sailors, giving the perfect equilibrium between the surface and wind range angles. The spinnaker becomes, in this way, a real enjoyable moment for the whole crew and they can sail downwind without stress. 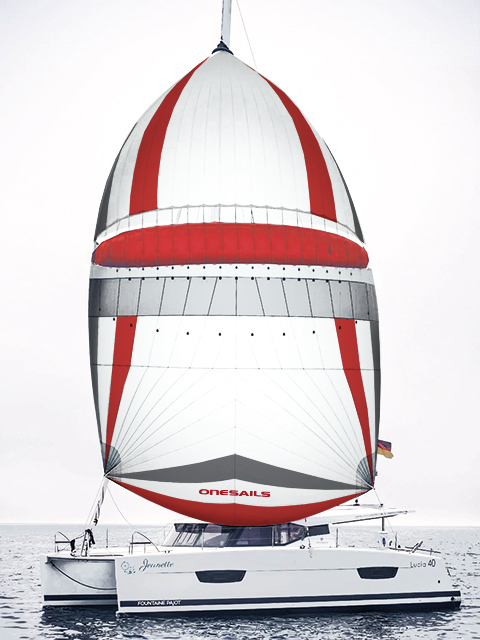 The gennakers by OneSails are designed for a wide range of apparent wind angle to avoid a continuous trimming during sailing. The Sails are controlled with fluid dynamic software simulations and optimized with the boat dimensions to get easy hoist and dip. 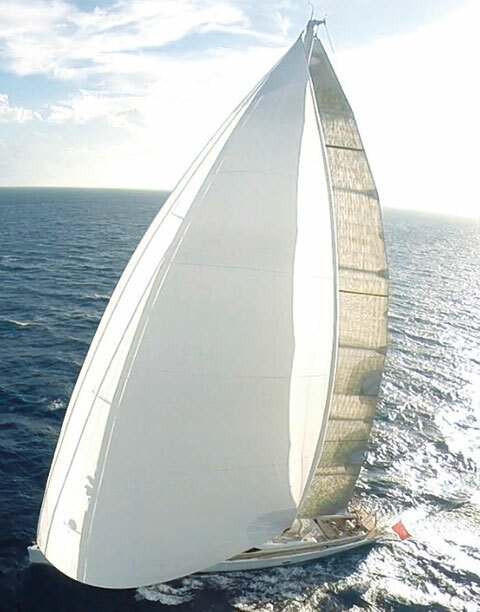 FFR is an exclusive project by OneSails. 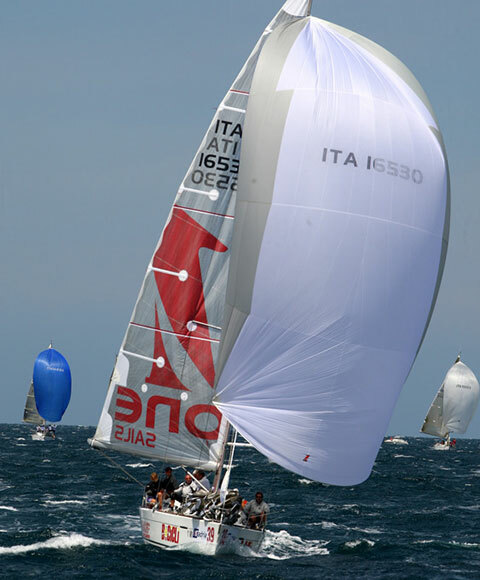 It is an evolution of the code0 and is developed to maximize the yacht's potential in light air and have much more control downwind in stronger breezes. The FFR is constructed from an advanced high quality nylon that is specially selected for this particular application. 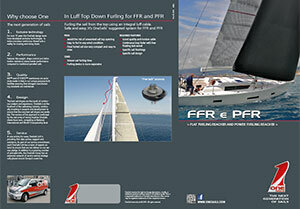 The luff of the FFR is fitted with an integral torsion luff rope to enable quick and easy furling. The FFR is a practical, medium weight, easy to handle sail that will not take up too much storage space and is designed for shorthanded sailing. The FFR best wind angle and range is for light wind and let to sail closer than 50 degrees TWA. The FFR also makes heavy airs downwind sailing much more controllable and stable through the use of the furling mechanism and the integral tensioned luff stay. Sailing under autopilot with the FFR is stress free and trouble free. Variations in course due the wave action or slow autopilot reaction do not cause the FFR to collapse. The sail behaves much like a Genoa, backing gently at the luff until the boat bears away. It's a variant of FFR from which it differs for a deeper shape and a full width at half that goes over 75% of the base. It can be measured as a gennaker. Can be used in deeper downwind routes than FFR. 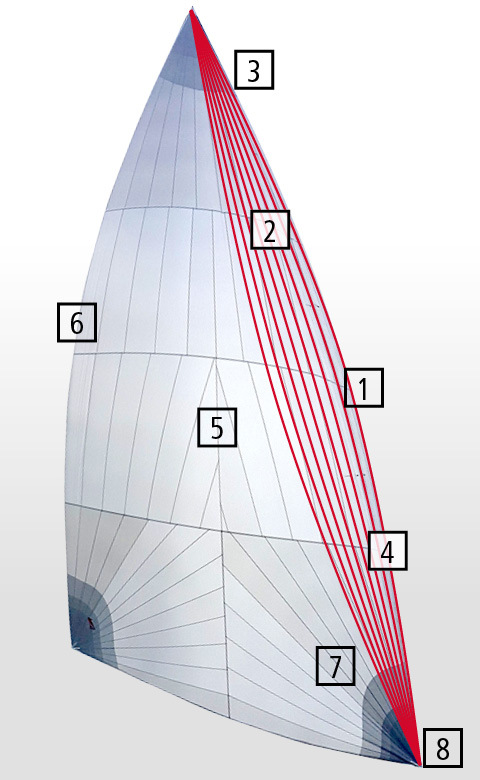 In contrast to a conventional Spinnaker / Asymmetrics, the self-stabilizing WINGSPI™ is equipped with a lift creating wing in the upper part of the sail body. Autopilot friendly. The boat is more steady as the sail is automatically balanced by the lifting function of the wing. This leads to a reduction in rudder pressure and minimized corrections of the autopilot. 30-40% more wind range. Thanks to the gust dampening and lifting wing. 60°- 180° wider TWA range. Due to a much flatter sail radius. 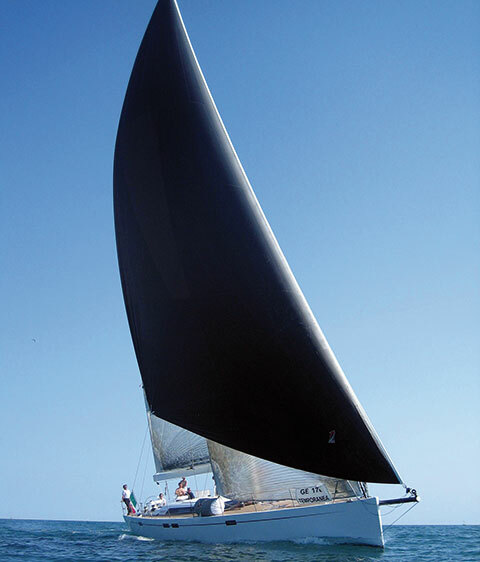 The wing itself acts like a soft batten, stabilizing the leeches and keeps the sail open.